Night Lock, Powerful Motor, Durable Bearings, 4+4 Laminated Glass, Brushes, Lighting, LCD-Display for Function and Adjustment. The air conditioning elements prevent any exchange of outdoor and indoor air. 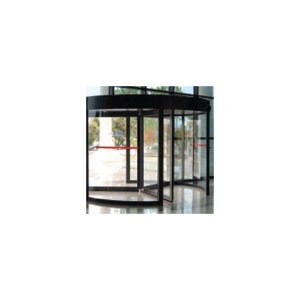 Revolving doors organize pedestrian traffic at the entrance of a building, creating a comfortable and regular transition.